It’s almost time for a new school year to begin. Daniel Tiger’s Neighborhood is celebrating this time of new beginnings with some exciting offerings — including the premiere of Daniel’s first movie, The Daniel Tiger Movie: Won’t You Be Our Neighbor? In this new movie, a new family has moved to the Neighborhood of Make-Believe. It’s up to Daniel and his community to welcome the family with open arms, forging new friendships. The Daniel Tiger Movie: Won’t You Be Our Neighbor? will premiere on Monday, September 17, 2018 on CPTV Kids and will encore during the week. It will also air on the CPTV PBS Kids 24/7 channel and live stream, and will also be available for free on pbskids.org and the PBS KIDS Video App. 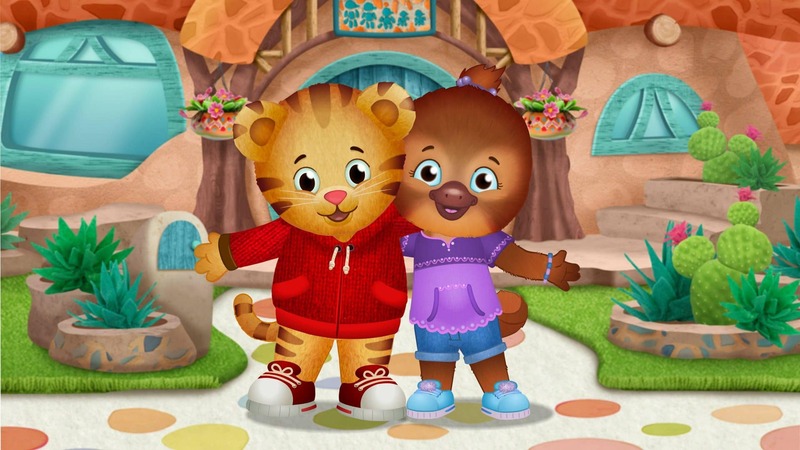 Also airing during the week of September 17 are two timely new episodes of Daniel Tiger’s Neighborhood, focusing on themes such as making new friends and navigating unfamiliar social situations. For more information on the movie and new episodes, see below. And for more information on free back-to-school resources being offered to parents and teachers by Daniel Tiger’s Neighborhood and PBS Learning Media, click here. NEW MOVIE: The Daniel Tiger Movie: Won’t You Be Our Neighbor? “Jodi’s First Day at School” – Jodi is nervous on her first day at a new school, so Teacher Harriet explains to Jodi that she can find something or someone she knows to help herself feel better. Jodi spots Daniel Tiger, who is someone she knows! Daniel takes on the duties of “First Day Friend” to help Jodi feel comfortable at her new school. “Daniel Plays at Jodi’s House” – Daniel goes to Jodi’s house after school. At first, Daniel feels a little nervous because he’s never played at Jodi’s house after school before. Then Daniel finds things he knows—like blueberries—to make himself feel better at Jodi’s house. “A New Friend at School” – Daniel can’t wait to race the crafty car he made at school with Prince Wednesday! But Prince Wednesday is busy playing with Jodi now. Is Prince Wednesday still Daniel’s friend? Of course he is. “A New Friend at the Playground” – Daniel and Miss Elaina are playing together at the park. When their new friend Jodi shows up to play, Daniel worries that Miss Elaina likes Jodi more than him, but then Daniel is reminded that they’re all still friends.